Have you heard of Birchbox? If not, go get yourself acquainted with it here. If you have (and don’t feel like going to the site just yet) check out my unboxing of this month’s Birchbox filled with beauty booty for a monthly fee of $10. Last month I got my first box and while it wasn’t all that exciting, it wasn’t dissapointing and for $10 you can’t beat it with a stick. Then again, you could but why would you? 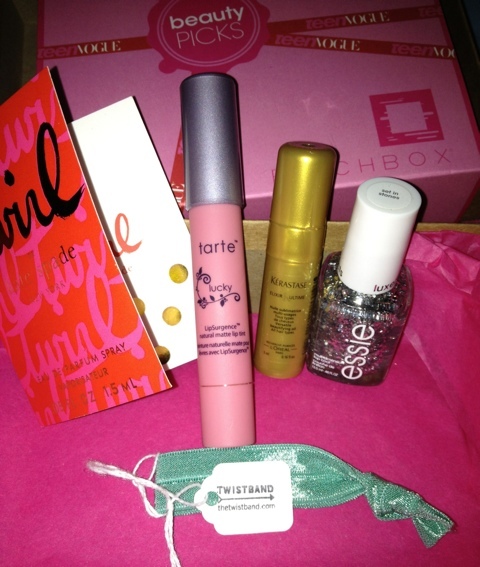 Special delivery from Birchbox for March 2012!! 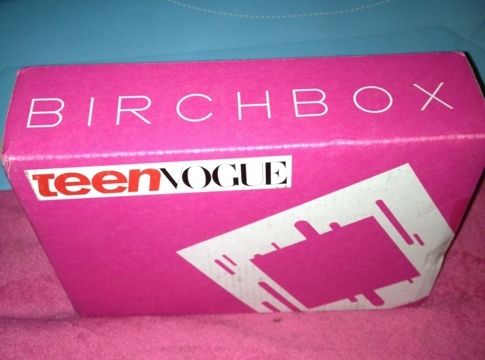 For March I opted to get the Teen Vogue Birchbox which contained items hand-picked by the Teen Vogue staff. Granted I’m no longer a teenager but I love hip products so I went for it. 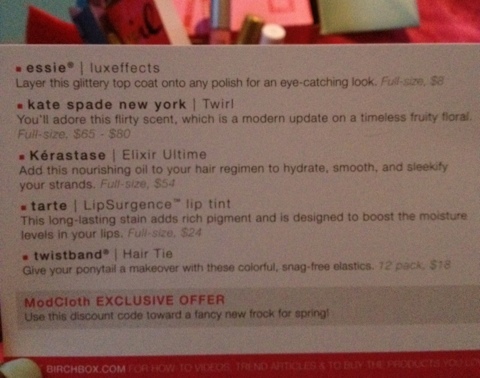 Please note this wasn’t my ‘regular’ box but Birchbox sent me a ‘do you want this’ email and I gladly accepted. So let’s get to the goodies that arrived this month! From left: Kate Spade's 'Twirl', Tarte lip tint in 'Lucky', Keratase hair oil serum, Essie Luxeffects nail polish, Twistband snag-proof hair tie. Classified as a fruity-floral, I received a standard ‘sample size’ atomizer on a card. This smelled absolutely delightful when sprayed but my body chemistry immediately turned it into sewage. Very disappointing as I love the complexity and sophistication of this fragrance. This is definitely not a personal favorite for me but I wouldn’t hesitate to give it as an upscale fragrance gift. For me this was the star of this month’s Birchbox. I’ve heard a lot about Tarte Cosmetics and while I’m in total love with their blush, I haven’t tried their lip tint before. 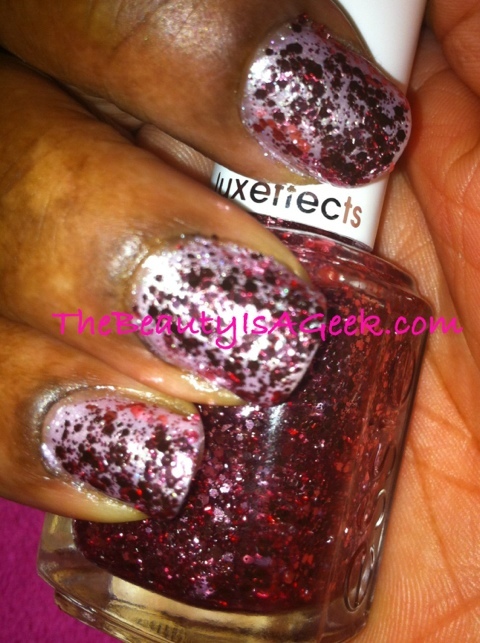 Lucky is a light pink with brown and if overdone can look chalky on dark skin (use a light hand). Even so, this is a very pretty spring pink universal shade that should flatter cool as well as warm undertones. 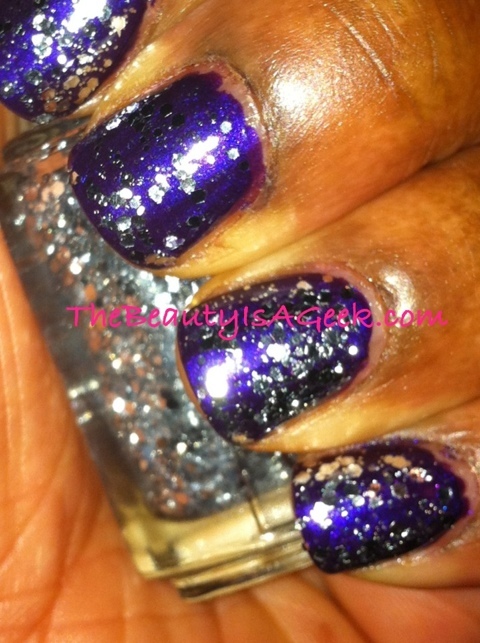 I’m personally very happy with how the color looks on my NW43 skin and look forward to trying more of these from Tarte. I’ve never personally used Keratase products but I have heard of their excellent reputation for hair care. A small sample of ‘beautifying oil’ included in the box is going straight into my carry on for my upcoming trip. As a woman of color with textured hair, hair oil is always a welcome thing. 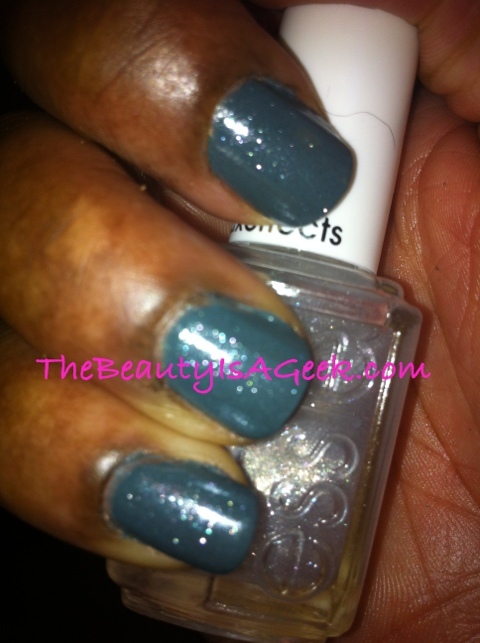 Regular readers of my blog know I’ve previously reviewed my pics from the Essie Luxeffects line. 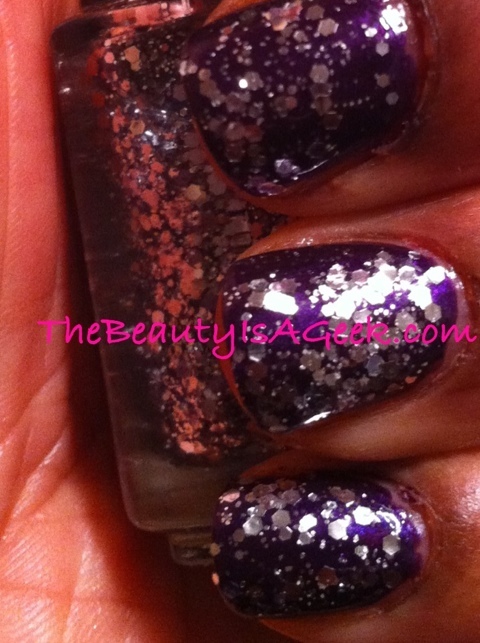 While fate saw fit to send me something I already own, I was very glad t see the silver glitter Set in Stones in my box. How handy is this little sweet thing? I’d never heard of this brand until it arrived in this months’ box. BIlled as a snag-free elastic tie that is gentle to hair, I received a pretty spring blue hair tie that will also go in my trip carry on. I’m always looking for great hair ties to keep my hair in place during sweaty workouts but won’t damage my hair when taking them out. I can definitely see myself ordering a few of these in the future. Overall I am extremely pleased with this month’s Birchbox delivery. If you haven’t tried the service yet, it is a great way to try a variety of beauty products each month without paying a lot of money. For those of you who have tried the service, how do you like it so far? Have you tried it and decided it wasn’t for you?